Earlier this month, it was the one year anniversary of the Snowden-leaks, by far the biggest disclosure ever of highly secret documents from the US National Security Agency (NSA). 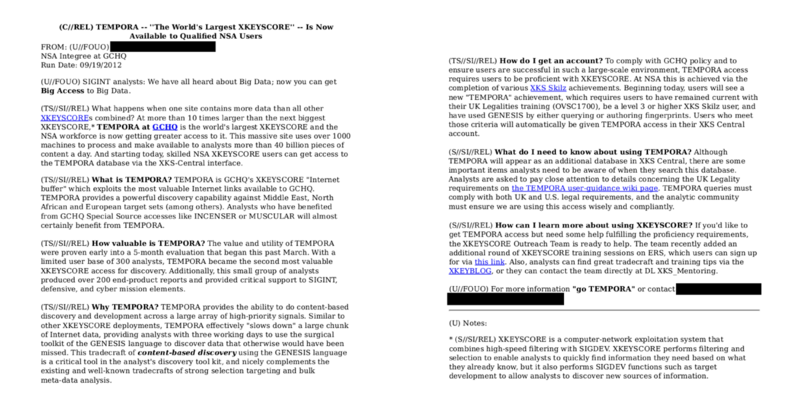 Edward Snowden and Glenn Greenwald are using these documents to show how eager NSA is to collect every bit of communication that travels around the world. But by taking a close and careful look at the original slides and reports which have been published so far it comes out that they contain no hard evidence for a massive abuse of power or violation of the law, not even for the alleged mass surveillance of innocent people all over the world. Edward Snowden and Glenn Greenwald claim that NSA wants to collect, store, monitor and analyse the electronic communications of innocent citizens all over the world, which would be an unprecedented abuse of power and a violation of the American constitution. This is how the story is told over and over in numerous media reports worldwide, and also in Greenwald's book 'No Place To Hide', which was published in over twenty countries on May 13, 2014. After a year of countless revelations, people might have expected that this book would provide a detailed and comprehensive explanation of all those confusing NSA programs, tools, and operations. But although it contains a range of new documents, these go without any proper explanation. Greenwald just uses them for picking a phrase or a number which he thinks supports his own narrative. Both Snowden and Greenwald are acting from points of view that are based on Libertarianism, a political ideology which encompasses minimizing the influence of government and maximizing the freedom and liberties of individual citizens. They argue that state surveillance is a big evil, not at least because when people are knowing that they are being watched and followed, most of them will going to behave compliant to the existing powers all by themselves (the so-called "chilling-effect"). But for that, people first have to know that they are being monitored, and NSA did everything to keep the extent of its spying operations hidden from the public. Only after the documents taken by Edward Snowden were published, people actually learned about how massive that spying is - in the eyes of Snowden and Greenwald. The Snowden-leaks of the past year learned us a lot about NSA, but there are also some important aspects that were ignored. 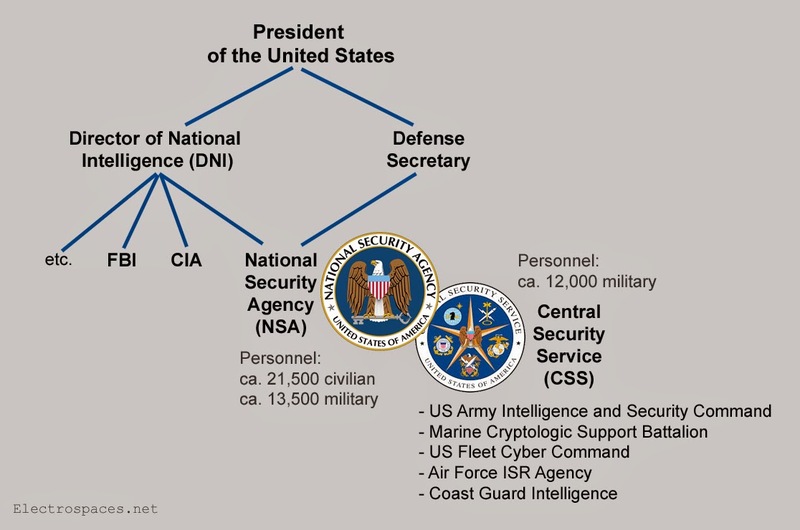 One is the fact that NSA is a military intelligence agency: it falls under the US Deparment of Defense (DoD), is led by a high-ranking military officer and plays an important role in supporting the US armed forces. Neither Snowden, nor Greenwald, nor the vast majority of the media reports even came close to mentioning the true extent of NSA's military job. One indication that can be put together from the numbers from the BOUNDLESSINFORMANT tool is that 54% of the data that NSA collects globally comes from countries in the Middle East plus India. Because also no NSA activities related to US military operations, like for example in Afghanistan, have been revealed, most people will now think that NSA is only spying on civilians. One of the very few exceptions was the Dutch newspaper NRC Handelsblad, which revealed how the Dutch military intelligence service MIVD cooperated with American troops in Afghanistan and helped mapping a network of Somali pirates. 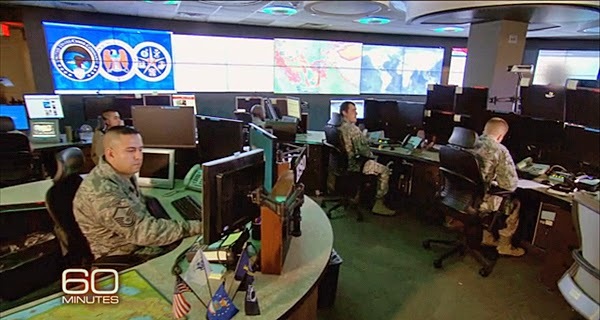 One example of where the military aspect seems to have been withheld deliberately, was the revelation by The Guardian and the New York Times of the 9-Eyes and the 14-Eyes, groups in which a number of European countries closely cooperate with NSA. Later it became clear that data and intelligence exchanged within both groups is for military purposes. During the second half of 2013 we learned about BOUNDLESSINFORMANT, the tool used by NSA for counting and visualizing its worldwide data collection activities. Initially, Glenn Greenwald reported in various European newspapers that charts from this tool show that tens of millions of phone calls of citizens from Germany, Spain, France, Norway and Italy were intercepted by NSA. But soon, military intelligence services from these countries declared that this interpretation was wrong and that the charts actually show metadata that were not collected by NSA, but by them. These statements are supported by the fact that the related BOUNDLESSINFORMANT charts show the DRTBox technique, which is primarily used in tactical military environments. The metadata were derived from foreign communications in crisis zones and collected in support of military operations abroad. 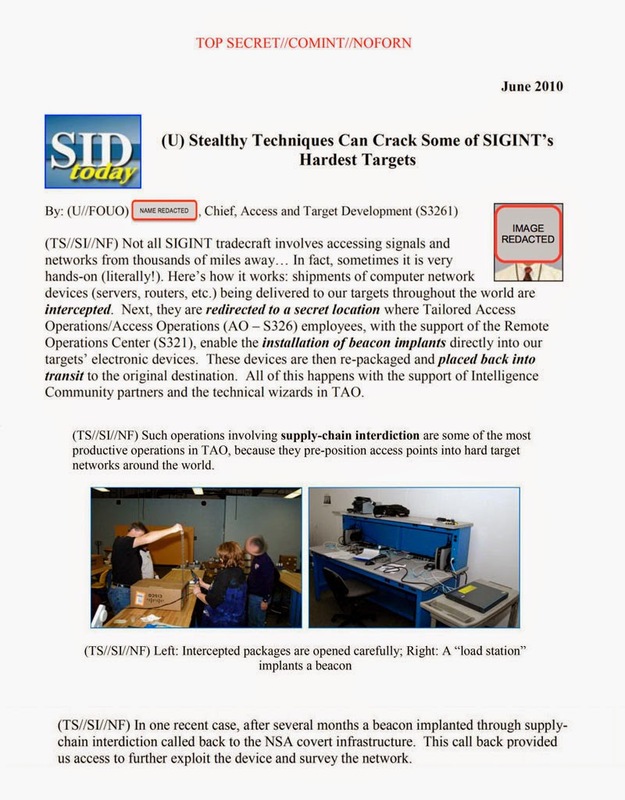 Subsequently these data were shared with partner agencies, most likely through the SIGDASYS system of the SIGINT Seniors Europe (SSEUR or 14-Eyes) group, which made them available for NSA too. In the end, the disclosures about various European countries did not proof massive spying by NSA, but rather show how close European agencies are cooperating with the Americans in the field of military intelligence. Since international telecommunications shifted to undersea fiber-optic cables after the year 2000, satellite links nowadays carry only a small share. It could be possible to collect all of that, but that aim can't be applied to the entire collection effort of NSA, which is so much larger. Furthermore, if "Collect it All" really was NSA's ultimate goal, then it certainly would have been in more high-level policy documents for the entire organization - which have not been presented so far. In an television interview from April 2014 with John Oliver, now former NSA director Alexander explained that "Collect Everything" was only meant for specific problems, and as such applied to Iraq. The same was the case for Afghanistan, as these are the only known countries for which NSA conducted a real mass surveillance effort under the name Real Time-Regional Gateway (RT-RG). The real and far more specified goals for NSA can actually be found in the 2007 Strategic Mission List (pdf). This document was revealed by The New York Times in November 2013, but got hardly any attention. Besides the strategically important countries China, North-Korea, Iraq, Iran, Russia and Venezuela, which are enduring targets, the document also lists 16 topical missions. The most important ones are: winning the war against terror; protecting the US homeland; supporting military operations; preventing the proliferation of weapons of mass destruction by countries like China, India, Iran and Pakistan. Some of the non-military goals for NSA are: anticipating state instability; monitoring regional tensions; countering drug trafficking; gathering economic, political and diplomatic information; ensuring a steady and reliable energy supply for the US. All these goals can be considered more or less legitimate for a large intelligence agency like NSA. The topics in the Strategic Mission List are derived from a number of other strategic planning documents, including the National Intelligence Priorities Framework (NIPF), which sets the priorities for the US Intelligence Community as a whole. NSA is therefore assigned to its tasks by the US federal government. The US government insists that it's intelligence agencies are not spying on foreign companies for the benefit of individual American corporations: economic intelligence is only used to support policies, lawmaking and negotiations that benefit the US economy as a whole. Greenwald doesn't make that distinction, so he interprets every reference in NSA documents to commercial companies in the worst possible way. Just like in many other publications based upon the Snowden-documents, conclusions are drawn from a very selective reading of a single slide, out of its context and with parts of the content redacted. Such can not be sufficient evidence for the far-reaching claims and accusations that Greenwald and Snowden are making. NSA and GCHQ hacking into the computer networks of Swift, Belgacom and SIM card manufacturers are also often presented as examples of economic espionage, although in all these cases the goal was not to steal trade secrets or gain economic advantage. These hacking operations were instrumental for getting access to information or the communications of other targets: the "Gemalto-hack" was in support of military operations in countries like Afghanistan, Yemen and Somalia. For getting certainty about whether NSA conducted the unwanted economic espionage, or about the results from its eavesdropping operations in general, we should see the end-product intelligence reports that NSA analysts write after having analysed the collected data. It seems that access to these reports is more strictly controlled, because apparently Snowden was not able to take these too. This indicates that NSA actually has internal access control systems that do work. Which contradicts the alleged uncontrolled access that analysts have to virtually anyone's communications - according to Snowden, who also hasn't provided any documents that proof that claim, for example by showing deficiencies of NSA's user authentication system CASPORT. At first sight it looks very impressive that almost all documents he leaked are stamped TOP SECRET//COMINT, but inside NSA information at that classification level is actually available to virtually everyone. Really sensitive secrets are in compartments like those for Exceptionally Controlled Information (ECI) of which often not even the codeword is known. On July 5, 2014, The Washington Post revealed that Snowden actually did had access to reports containing full internet messages that were intercepted under section 702 FAA authority and that he was able to exfiltrate some 160.000 of them. The article suggests that he was able to do this because he had authorized access to at least the RAGTIME compartment. Some other ECI-codewords that have been disclosed are REDHARVEST (RDV) and WHIPGENIE (WPG), and also details about the scope of the STELLARWIND (STLW) control system came out. Misleading are also the press reports about NSA hacking into smartphones and computers, whether through the telephone networks, the internet or by bridging the "air gap". Without mentioning for what kind of targets these methods are used, and by using general terms like "internet users" instead of "targets", people get the idea that it can effect everyone. On January 17, 2015, Der Spiegel published the full version of this NSA report, which appeared to be longer than the one published in Greenwald's book. What he left out was a section that describes a successful supply-chain interdiction against the Syrian Telecommunications Establishment (STE) - a target for which such methods are clearly justified. It may not have been that lives of American officials or specific operations have been endangered, but there's no doubt that disclosing these methods damaged NSA's ability to get access to communications which are otherwise impossible to intercept. Both friends and enemies will now check every new computer shipment and all of their existing sensitive computer and telephone systems in order to remove every piece that resembles those shown in the media. Snowden said he doesn't want to harm the US and also not to constrain bilateral relations with other countries. But as the opposite has happened, it seems that some journalists to whom he gave his documents, are not always publishing them according to his intentions. For example, the German magazine Der Spiegel revealed details about NSA's computer spying implants, while Glenn Greenwald published about their spying on the presidents of Mexico and Brasil, which put their relationship with the US under severe pressure (the eavesdropping on German chancellor Merkel was not based upon information from Snowden, but from another source). Similar were disclosures about the NSA eavesdropping on the communications of the UN, the European Union, a number of foreign embassies, international conferences and some large private companies. It was embarrasing for the US having these activities exposed, although these kind of activities are the core business of every foreign intelligence agency. Looking at the legal framework and official tasks also helps to better understand the disclosures about the British signals intelligence service GCHQ. From various documents, it seems this agency is especially eager and agressive, like for example in collecting webcam images and planning "disruption" operations against hackers associated with Anonymous. Rarely mentioned is that such activities would actually fit within the broader mandate and the less legal restrictions which the British service has compared to the NSA. For example, GCHQ is allowed to operate domestically and assist the security service MI5, as well as law enforcement, where activities of NSA are strictly limited to foreign intelligence. GCHQ also wants to be a major player in the field of foreign signals intelligence. Although it reportedly has access to 200 fiber-optic cables, the agency is only able intercept 46 cables of 10 gigabits/second at a time. This would make that 21 petabytes of data flow past these systems every day. One of the major accusations of Snowden and Greenwald is that NSA is indiscriminately gathering and storing electronic communications from all over the world. As said, there are no documents about the tactical systems for military purposes, but we learned a lot about the various ways the agency taps into general telecommunication channels like satellite links and fiber-optic cables, both submarine and landbased. NSA's access to them can be unilateral or in cooperation with foreign partner agencies: with 2nd Party partners under the WINDSTOP program, and with 3rd party agencies under the RAMPART-A program. From the BOUNDLESSINFORMANT tool and some other charts we know that NSA collects billions of data a day. That sounds like a huge number, but remarkably enough there has been not one single press report that provided numbers on the global telecommunication traffic in general for comparison. 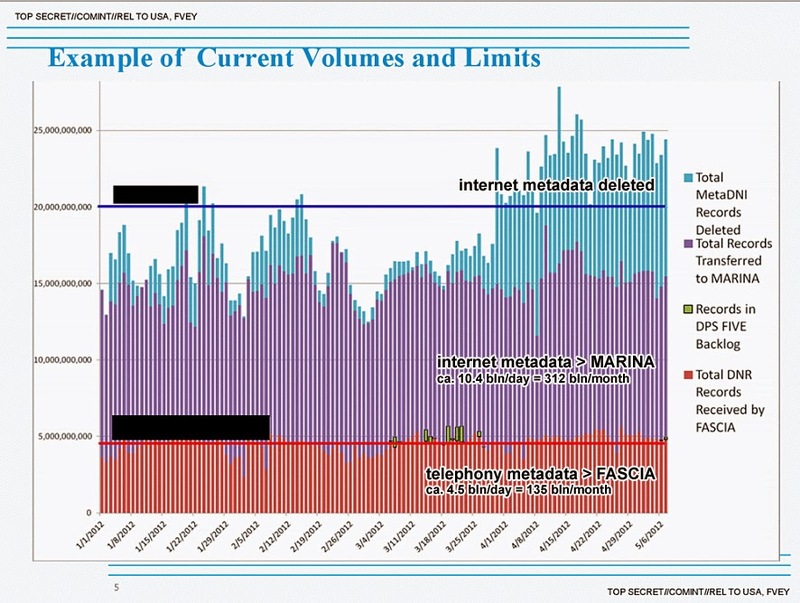 The NSA itself issued a statement (pdf) in August 2013 saying that about 30 petabytes a day pass their collection systems, which filter out and store about 7,3 terabyte. Cisco estimates that in 2013 there was some 181 petabyte of consumer web, email, and data traffic a day, which means that roughly 16% passes through NSA systems, which eventually store 0,00004% of it. With this temporary buffer, XKEYSCORE provides NSA analysts with the opportunity to search these data for "soft selectors" like keywords and for other target related characteristics like the use of encryption, virtual private networks, the TOR network or a different language. This enables analysts to use the temporarily buffered data in order to find internet activities that are conducted anonymously and therefore cannot be found by just looking for a target's e-mail address. Before XKEYSCORE was installed, there were only the more traditional systems that automatically filter out content when there is a match with so-called "strong selectors" like e-mail and IP addresses. This is less than 5% of the internet communications that passes NSA's front-end filters. Both the traditional filters and the XKEYSCORE system are picking out a relatively small number of communications in a targeted and focussed way. Traffic that is not of interest is only stored for a few days and then automatically disappears as it's overridden by new data. So, although these NSA systems "see" a huge amount of data, there's certainly no "Store it All". XKEYSCORE is only used for searching and analysing internet communications, but it seems that a similar system for telephone calls is available under the MYSTIC program, which was revealed by The Intercept on May 19, 2014. Under MYSTIC, NSA has access to the entire mobile phone traffic of five or six countries. But also in this case, the storage of communication data is limited to thirty days, and from the networks of three countries (Mexico, Kenya and the Philippines) this only applies to metadata. Content of phone calls is only stored from two countries: from the Bahama's, but that was only for testing this system. It was probably Afghanistan where the MYSTIC program eventually went live and likely became part of NSA's Real Time-Regional Gateway (RT-RG) effort. 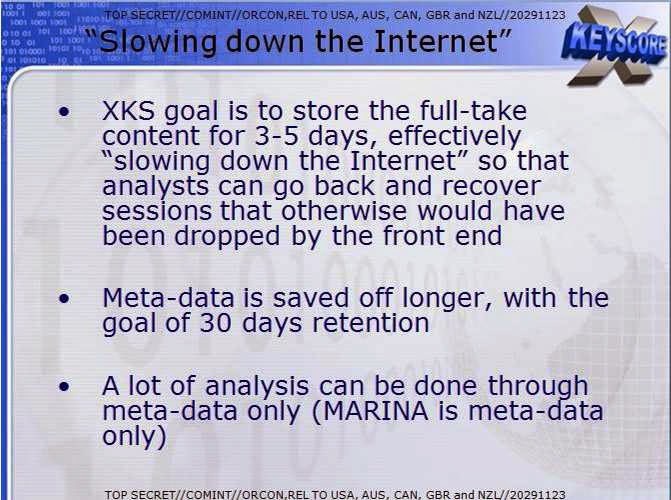 For these countries NSA's collection effort comes close to a mass surveillance, but strangely enough, the SOMALGET program that comprises the content collection, only accounts for less than 2% of NSA's cable tapping programs, which could indicate the program is used in a very focussed way. Probably even more misleading and exaggerated are what most Snowden-stories say about the collection of metadata. This is the information needed for the technical and administrative handling of communications, like the calling and the called phone numbers, and the time and duration of a call. This matter is important because NSA collects far more metadata than content, probably up to several trillion records a month. The collection of metadata is even more controversial than storing content. Not only Snowden and Greenwald, but also most civil liberties organizations say that "bulk collection" equals "mass surveillance", because analysing metadata is more intrusive and thus a bigger violation of privacy than looking at the content of phone calls or e-mail messages. 1. To discover new suspects through a method called "contact chaining". Starting with the phone number of a known foreign bad guy, a specialized tool presents the numbers which he was in contact with, and the numbers they on their turn had been in contact. By cross-referencing, this can point to conspirators that were previously unknown. In 2012, NSA used 288 phone numbers as a "seed" for starting such a query in its domestic phone record database and this resulted in a total of twelve "tips" to the FBI that called for further investigation. In 2013, the number of seeds had raised to 423. This domestic collection is legally authorized under section 215 of the Patriot Act and is additionally regulated by the FISA Court, so under the existing legal framework this is not illegal spying on Americans. On May 7, 2015, a US federal appeals court ruled that NSA's bulk collection of telephone metadata overstretches the meaning and therefore violates the USA Patriot Act. 2. Only for people who are identified as legitimate foreign intelligence targets, the metadata of their phone numbers are pulled from the databases to be used for creating a full "pattern-of-life" analysis. There's no evidence that NSA is randomly querying ("data-mining") the metadata they collected for some kind of profiling without any specific lead. Most of what we know about the domestic collection of US telephone metadata comes from declassified court orders, because from the Snowden-trove we haven't seen any internal NSA documents about the Section 215 program. At least in this case, NSA seems to be able to "Store it All", but there's no "Analyse it All". Probably Snowden's biggest disclosure was the existance of the PRISM program, through which NSA collects communications from major American internet companies like Facebook, Google, Microsoft and Apple. 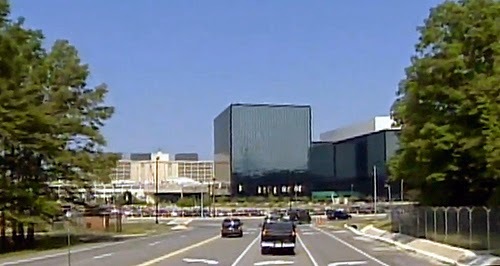 However, the initial claim that NSA had direct access to the servers of these companies proved to be misleading, and also PRISM is not used for spying on ordinary citizens, but only for gathering information for countering threats from foreign governments, terrorist groups and weapon proliferation. The disclosure that had the biggest impact on the American public was that large telecommunication providers like Verizon are handing over all their telephone records to NSA. Apparently Americans became only fully aware of this after being revealed by Snowden, as the collection of domestic telephony metadata was already revealed in 2006. It should be noted that in 2006, NSA still received close to 100% of the domestic phone records, but that since 2013 that share plummeted to less than 30%, mainly because two major cell phone providers do not hand over their records. Should NSA be allowed to request phone metadata from the telecom companies, as proposed in the USA FREEDOM Act, then they would get ability to access virtually all records again. Also in 2006 it was disclosed that NSA had installed intercept devices at switching stations of major fiber-optic cables inside the United States. This equipment is used to filter the phone and internet traffic, but because this was done inside the US, it looked like NSA was eavesdropping on Americans, something that is strictly prohibited. 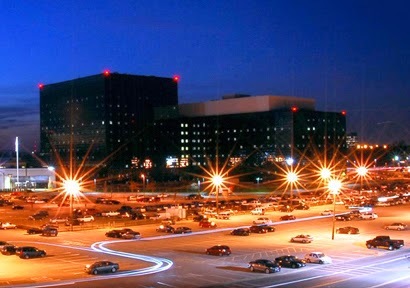 Sensationalist headlines of many press reports following the Snowden-leaks also suggested that NSA was "listening on American phone calls" and "reading American e-mails". This however is only the case for the very few people in the US who are known associates of terrorist groups or foreign governments. On July 5, 2014, The Washington Post revealed that Snowden exfiltrated some 160.000 internet messages collected under 702 FAA authority and that almost 90% of them were from persons, both American and foreign, who were not listed as a foreign intelligence target. A large number were correctly minimized and there's no evidence the overcollected messages were actually read or used, but they also weren't deleted. The domestic cable tapping is part of NSA's Upstream collection program, which is primarily used for access to communications between foreigners or foreign targets and possible conspirators inside the US. Most surprising was probably how close the cooperation with American telecommunication companies is. 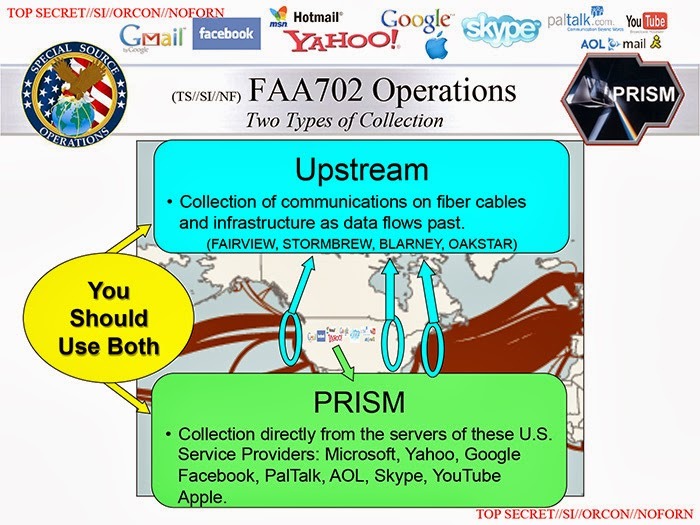 The codenames for these domestic programs are FAIRVIEW, BLARNEY and STORMBREW, and under OAKSTAR, American telecoms are providing cable intercept facilities abroad. This shows that this oversight mechanism isn't the mere "rubber stamp" as Snowden and Greenwald continuously call it. 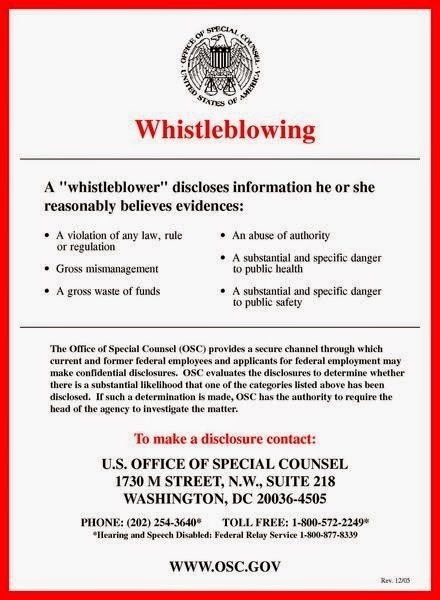 The fact that the FISA Court decides behind closed doors is also not a scandalous exception, as the same applies to grand juries in ordinary crime cases. Of course, not everything that is legally allowed is always right, and many people don't agree with the actual scope of NSA's spying operations. Snowden additionally warns against the (future) misuse that can be made from this kind of systems in general, also in other countries worldwide. 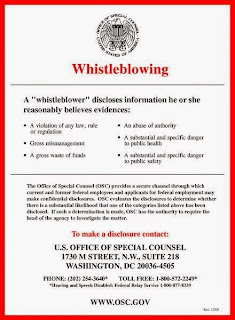 That's a legitimate cause, but a personal disagreement with current policies and practices alone doesn't constitute whistleblowing. It's rather a political and/or moral issue. In the past year we really learned a lot about the methods and the collection programs of the NSA. But in the media, the facts that arise from the original documents have often been instrumentalized for the ideological fight between Snowden and Greenwald on one side and the NSA and the US government at the other side. Latter parties are being accused of trying to eliminate all forms of privacy, but in the documents that have been disclosed, there's no hard evidence that proofs that claim. The documents show that NSA has a large, worldwide network of data collection systems, but these systems are not capable of collecting, let alone storing all the communications that occur all over the world. Instead, NSA tries to collect it's data as targeted and focussed as possible, in order to fulfill it's foreign intelligence tasks, many of which are of a military nature. The NSA is trying to do this carefully and complient to the laws and the policies, although it is sometimes operating on the edge of what is legally and politically acceptable. Preventing those borders being crossed can only be done by taking a very close look at what NSA is actually doing. The documents leaked by Snowden give us some insight into that, but the myth of an agency that is able to know everything we are doing, saying, thinking and planning is just distracting. On July 9, 2014, Greenwald published a story that was announced as a grand finale that would show that NSA does eavesdrop on ordinary American citizens. However, his actual article was about NSA and FBI monitoring five Muslim-American leaders between 2005 and 2008. But in the original documents we once again saw no evidence for the involvement of NSA, just for FBI, which is of course the proper agency for such domestic investigations. Whatever this means for what FBI is doing, it shows no illegal activities of NSA. - Heise.de: Was war. Was wird. - LennartHuizing.nl: Snowden overdrijft?!? Zeg dat nog eens? "no hard evidence for a massive abuse of power or violation of the law," - global foreign espionage is neither, unauthorized domestic surveillance is. You're conflating things to confuse people in an attempt to excuse the NSA. If you want to discuss serious topics choose your "frase" [sic] more carefully. The author is ignoring or has not read the evidence. This site is nothing more than NSA propaganda. It's Snowden and Greenwald who are claiming that NSA is abusing its powers and violating laws and thereby they are suggesting that also foreign espionage is somehow illegal. Which of course is not, spying abroad is legal in every country. The domestic surveillance which NSA conducts is also legal because it's authorized by the FISA court. Nevertheless, this is presented by media as if NSA is eavesdropping on Americans, which would be illegal, but that's not the case - the domestic metadata are mainly used for the contact chaining as described. P/K: I like your blog b/c you do a good job picking things apart. However, in this particular post, I think you're ignoring some key issues. Let me give two examples. "The FISC is forced to rely upon the accuracy of the information that is provided to the Court,” its chief, US District Judge Reggie B. Walton, said in a written statement. “The FISC does not have the capacity to investigate issues of noncompliance." Second, while the foreign intelligence collection under Section 702 may be legal, it's scope/reach is HUGE and it offers no safeguards for non-U.S. persons. This has been extensively explained in the reports by the joint EU/US working group. @ MrKoot: Thank you for your comments! Yes, the collection of domestic phone metadata under section 215 Patriot Act is clearly the most controversial thing that has been disclosed. About the legality: PCLOB is a rather recently installed oversight and advisory board, that has no judicial competencies, so their judgement that 215 collection is illegal, has no legal implications. FISC however is a court, and you are right that they are sometimes frustrated by the limitations of their powers, but that's also inherent to a judicial body: especially an American court isn't meant to do deep and detailed investigations by itself. In my personal opinion, I think the use of the 215 authority is proportionate though: NSA collects an enormous amount of data, that's true, but it uses only a tiny number of them, the rest isn't touched or seen or used. So the point where people disagree is about: should NSA be allowed to store a huge number of metadata which it never uses? 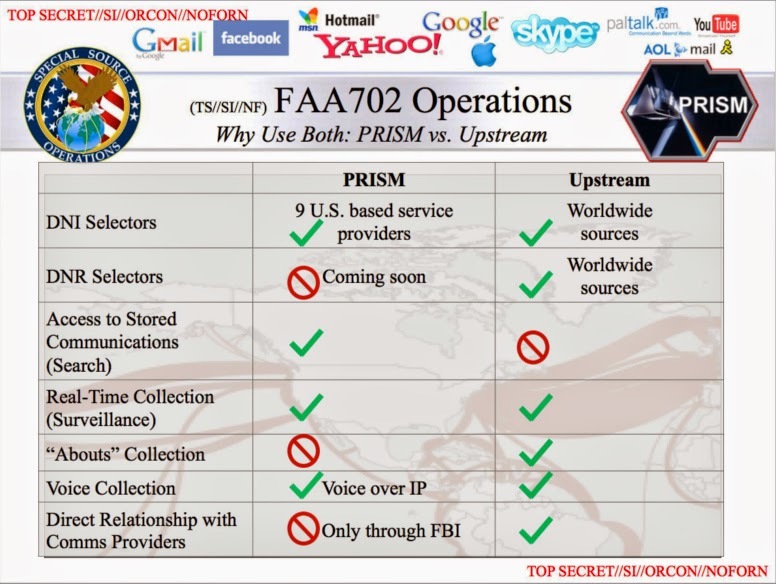 You are right that for PRISM and Upstream collection under Section 702 FAA, foreigners have much less protection and pivacy safeguards than US citizens. But we should keep in mind that this "privilege" is not so special as it may seem. Every country has protections for the (privacy) rights of its citizens, protections that most often do not apply to foreigners. Intelligence agencies from all countries are free to spy upon foreign people's communications, most often without any restrictions regarding their privacy. But one thing that is often forgotten, is that there is another kind of rules that restrict the collection of foreign communications: namely the goals and the tasks of the intelligence agency. Especially Western intelligence agencies are bound by legal tasks and goals which are set by their governments - and these are limiting their activities, not positively aimed at protecting the privacy of foreigners, but when these goals say the agency has to collect information about a range of particular subjects, that means all other communications are not of interest, and therefore will not be read or used. So, when you are not writing or talking about the subjects which are listed in for example NSA's Strategic Mission List, then the chance that your communications will be intercepted (like in stored and read) is minimal to nihil.